Dooey, my cat, and I now officially live aboard Mystic Moon in Bradford on Avon Marina. Her living quarters are delightfully welcoming, warm, and cosy. In fact, as you can plug straight into mains electricity and water, it’s similar to living on land, except, of course, it’s much smaller, and you have to find somewhere to pump out the loo every so often. But the other end of the boat is quite a different matter. For this is where the engine department resides. My early days on the canals were spent on rented boats, and latterly on a sponsored boat. 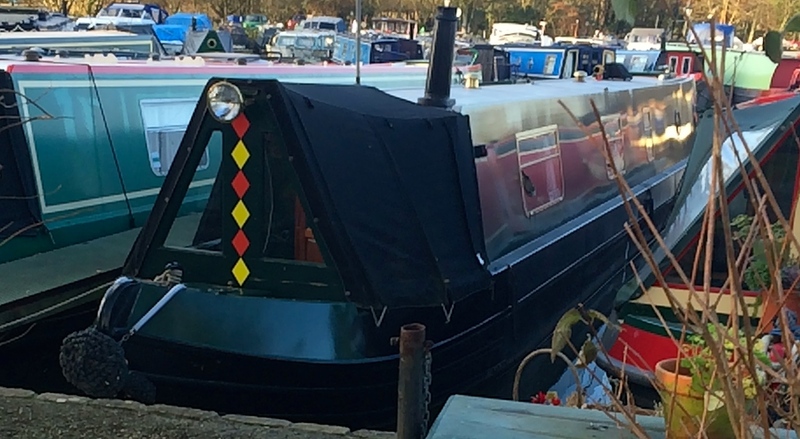 A sponsored boat means you own it outright, but you are in business with a narrowboat rental company who manage and maintain it throughout the year. The owner has up to three/four weeks ‘free’ access a year, while it is (hopefully) rented out the remainder of the time as a 40/60 split in favour of the rental company. 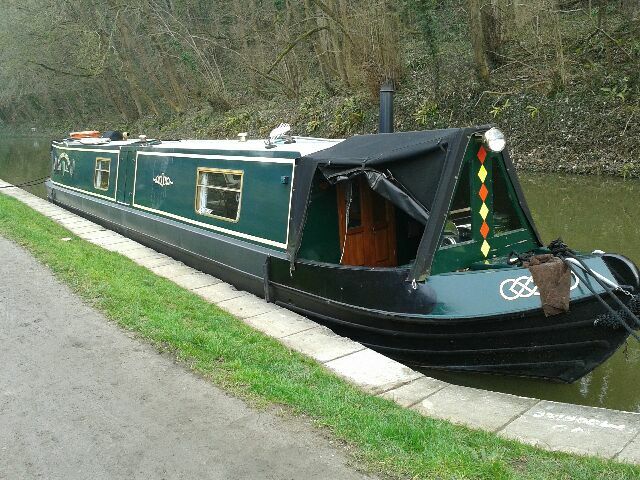 This may not sound the most sensible way to invest money, but it gave me the pleasure of owning my own boat and guaranteed time on the canals each year, while receiving a modest income each month. The main point is that rental and sponsored boats work, and if they don’t you send out a mayday to the rental company who are honour bound to rescue you. So it’s a relatively pain free experience. But to own your boat, warts and all, is a very different kettle of fish. To begin with, I don’t (although this is now rapidly changing) have a CLUE about engines. To rectify this, I went on a one-day maintenance and servicing course. By the end of it I understood the theory of how a diesel engine worked, where the camshaft was, the difference between a fuel and oil filter, and the importance of glow plugs. I returned to the boat filled with confidence. 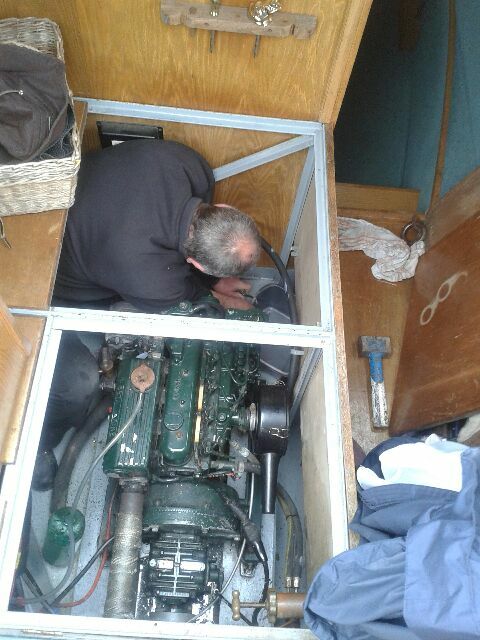 But of course, all engines look different, and it took me quite a while to work out that my engine has only one alternator, while the boat I learnt on had two. But it was the electrics that stumped me. As I have already mentioned, you’re plugged in to the mains at the marina. 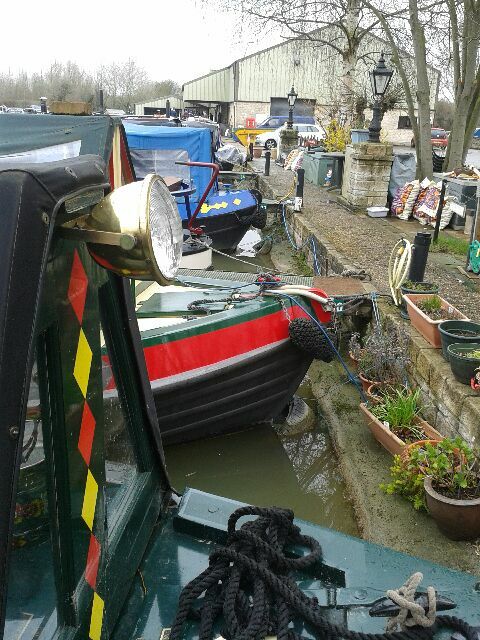 However, a boat on the Cut (canal terminology for being out and about) has to rely on its own power, provided by batteries. After an overnight excursion to test out my boating abilities, I realised Mystic Moon’s electrics weren’t working quite as well as they should. But life in a marina is all about being surrounded by blokes of a certain age who understand one end of a widget from the other. Initially Dave, who lives four boats away and has been aboard for the past fourteen years, came to my rescue. After a few minutes peering at the batteries, he sucked his teeth, shook his head, and decided that John was the man for the job. John, I have come to appreciate, is a wizard extraordinaire with all things mechanical and electrical. When he told me that I required three new batteries to maintain power during my five month trip around the canal system, I didn’t hesitate to fork out an eye watering amount for replacements. During the conversation I mentioned my hairdryer. ‘You will need an inverter if you want to run one of them,’ he said. Apparently most boats happily run on a 12 volt wattage created by the batteries. That’s fine for sidelights, 12 volt fridges and even 12 volt televisions. But not for hairdryers that need 240 volts to work. Hence the need for an inverter (this, by the way, is a much shortened, and probably completely inaccurate account of what John actually told me. But to be honest, after thirty seconds of battery talk I zoned out). ‘Okay, how much?’ I asked. Having picked myself up from the floor, John order an inverter and a couple of days later installed it. For some reason, I thought I could save power on the inverter by turning my hairdryer to 125 volts. Within seconds I learnt this was not a good idea. The inverter screamed, and the hairdryer fused. When I told John what I had done, put his head in his hands. ‘Are you really going to be okay on your own out there?,’ he said, with genuine concern. We turned our attention to the sea of water sloshing about at the bottom of the engine department. ‘Looking like you need an automatic bilge pump,’ he said. The automatic bulge pump was duly fitted. I was thrilled that the boat was no longer about to sink, but not so thrilled when the wretched thing decided to continuously bilge all night. The following day, John disappeared into the bowels of the engine with my washing up bowl, for what reason I wasn’t quite sure. But who cares. The bilge now lives in the washing up bowl and my nights have become blissfully and mercilessly silent. Except the heating system decided to blow itself up. This provides hot water and heats up the radiators, which makes life much easier if you’re moored up on the towpath for a couple of days. It was my friend Sally who spotted suspicious white smoke wafting out of a round hole in side of the boat. ‘Is that right?’ she asked. I looked at him helplessly. ‘John’s yer man,’ he said. I honestly thought that this was the last thing I needed to worry about before setting off to run my pop-up death cafes. But then I dropped my car keys into the canal. Fortunately Sally Boats who are based at the marina have a large and very powerful magnet. It only took a few minutes to fish them out of the slime, and I have promised myself that won’t happen again. Until, or course, the next time. This entry was posted in All posts and tagged Bradford on Avon Marina, Mytstic Moon, narrowboats, pop-up death cafes, Sally Boats. Bookmark the permalink.